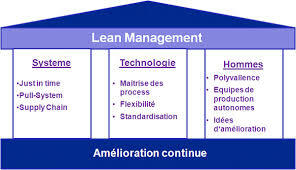 Major objective of this article is to discuss principles of Lean Management. Lean management is a technique for running an group that supports the thought of continuous improvement, a long-term way of work that systematically seeks to achieve small, incremental changes in processes so as to improve efficiency and also quality. Here briefly discuss five principles of lean management: Specify Value, Identify the Value chain, Create Flow of value, Respond to Customer Demand and Aim for perfection. These 5 concepts of lean management will help you bring about modify, minimize wastage and also implement policies that emphasize the right way of doing things within the organization. Processes could possibly get streamlined in the seek to consistently deliver value for the end customer.